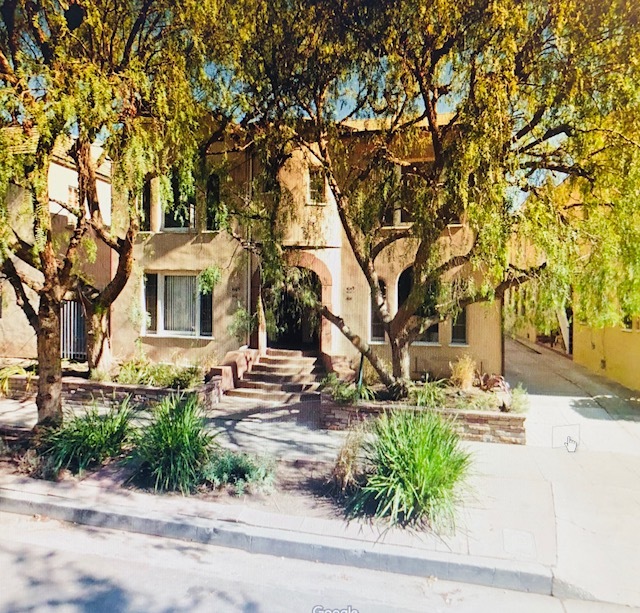 DESCRIPTION: PARTIAL INTEREST SALE (5/6TH INTEREST) IN A 4 UNIT APARTMENT BUILDING IN THE VERY DESIRABLE FAIRFAX AREA OF LOS ANGELES. EACH UPDATED UNIT FEATURES A LIVING ROOM & DINING AREA. KITCHEN WITH DISHWASHER. SERVICE AREA WITH WASHER/DRYER HOOKUP. CENTRAL HEATING & AIR CONDITIONING. 4 DETACHED GARAGES & OUTSIDE PARKING SPACES. 3 GARAGES CURRENTLY OCCUPIED BY OCCUPANT IN UNIT 414. BUYER WILL BE RESPONSIBLE FOR MANAGING GARAGE/PARKING ALLOCATION AFTER CLOSE OF ESCROW. UNIT 414 OCCUPIED BY ADMINISTRATOR/BENEFICIARY OF 1/6TH INTEREST NOT BEING SOLD AND DOES NOT CURRENTLY PAY RENT. SEPARATE GAS & ELECTRIC METERS. PERSONAL PROPERTY NOT INCLUDED IN SALE. DO NOT DISTURB OCCUPANTS. CLOSE TO SCHOOLS, SHOPPING & ENTERTAINMENT. NO COURT CONFIRMATION. 414½ – TEMPORARY MANAGER. NO RENT BEING PAID. WILL BE VACANT AT CLOSE OF ESCROW. PROPERTY SOLD SUBJECT TO ANY LEASES PRODUCED BEFORE OR AFTER CLOSE OF ESCROW. * **IT IS BELIEVED THERE IS NO WRITTEN AGREEMENT TO PROVIDED SATELLITE OR INTERNET SERVICE FOR TENANTS. BUYER TO DETERMINE CONTINUATION OF THESE SERVICES AFTER CLOSE OF ESCROW. PROPERTY SOLD SUBJECT TO ANY WRITTEN AGREEMENT FOR SATELLITE AND INTERNET SERVICES. LOT SIZE: 6,390± SQ. FT.
SINGER & BASS TRUSTS, ET AL. TERMS: CASH. BUYER TO OBTAIN OWN FINANCING. FINANCING IS NOT A CONTINGENCY TO THIS SALE. PROPERTY SOLD IN “AS IS” CONDITION WITH NO CONTINGENCIES WHATSOEVER. PROPERTY SOLD SUBJECT TO ACCEPTANCE OR REJECTION BY THE TRUSTEES, ET AL.